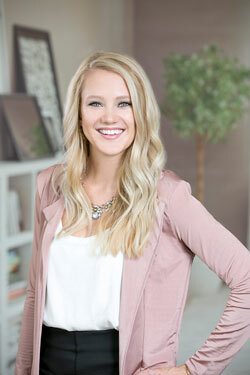 Lyndsie Bomar is a valued member of a top producing real estate team, and has helped to facilitate many transactions in her upstart career. She brings seven years of expertise in sales and hospitality, as well as experience assisting one of Chicago’s top producing brokers, to her career in real estate sales. Her passion for Chicago’s communities drew her to work in Chicago’s dynamic housing market, and she values the opportunities she has to help buyers and sellers accomplish their goals. Lyndsie provides empathy, exceptional communication skills, and a fresh perspective on marketing to her clients, along with the tenacity and knowledge to guide them through each step of their transaction.Lyndsie was raised in Montana and currently resides in Lincoln Square, providing her with insights on both this thriving Chicago community and the process of relocating from other cities. Outside of her real estate work, she participates in an array of physical activities including yoga, hiking, skiing, and biking along the city’s lakefront. Lyndsie also enjoys traveling and exploring Chicago’s many diverse neighborhoods and culinary offerings.